I am giving my readers a two-for-one deal today. I will put a bit of my post from Wed., Sept. 3 last year in this space. And then, I will repost the post from Thurs., Sept. 4, 2014 in its entirety. I hope this is an encouragement to those of you who know someone who now has or has had mental challenges, or has been diagnosed with mental illness. Maybe even some of us. I don’t often willingly think or talk about this, but I had a bout of severe postpartum depression after the birth of my second daughter, 28 years ago. Talk about a Slough of Despond . . . The depression lasted for about six months. I had absolutely no idea I was in depression until it lifted. I have no idea how or why it ended, either. I just thank God that it did. Being of Service for NAMI? Sharing My Story! Surprised. Humbled. Gratified. And then, I guess, yes. Okay. Wow! Those were some of the emotions I felt today as I went to my blog statistics, and checked the retweets and shares. The blog post I wrote yesterday apparently touched a chord with many people. At least, it sure looks like it from the response I received on the stats page, Twitter and Facebook. I wasn’t thinking about that at all when I wrote that post. I was truly moved by another post (Joani Peacock’s recent blog post at Unorthodox & Unhinged, at wordpress dot com), and I sat down and wrote from my heart. I figured I had kept the information about my postpartum depression inside long enough. I feel stable and whole, now. I’ve decided to share more of this intensely personal, private story, now. There is dysfunction in just about any family: it just depends on how much (too much! ), how often (way too often), and what gives? (No answer, usually.) If those responses fit your family of origin and your growing-up experiences, you’ve got a lot of company! Being the youngest of six by a number of years, my parents were pretty much done with child-raising by the time I hit the middle grades. A lonely, awkward, chubby kid, I turned into a lonely, awkward chunky adolescent. Sure, there was the on-and-off, general depression (more on than off), extreme loneliness, complicated by some other, medical-related difficulties in my high school years. Yeah, it could be written off to teenage angst. Yeah, it was partly that. But it was more. It was complicated. Somehow, I find I can sometimes relate when I hear about other teens having difficulties right now—in the present. I find I can relate when people talk about depression—chronic, clinical, or whatever other kind they call it. Today is September 4, 2014, the day that NAMI’s annual conference in Washington DC is marching on Capitol Hill and launching an outreach on social media, including Twitter and Facebook. (#Act4MentalHealth) Thus, I am encouraged to open up, writing about my difficulties with depression. I am speaking out with my message of walking through the dark places, and coming out the other side. God willing, many people will speak out. Not be ashamed. I have a great appreciation for seniors. When I heard about this way of being kind last January, I knew I had to find out more. So, I asked my friend Jill for more information. Thus, this post. 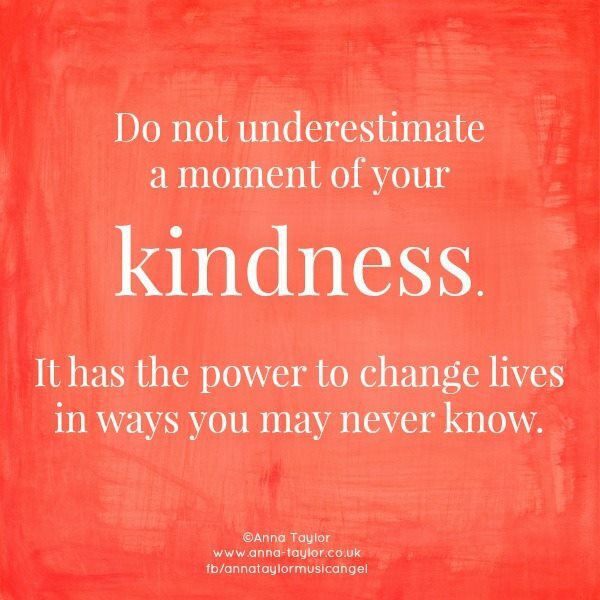 Awesome way of being kind! When disaster hits—anywhere in the world—the disaster is all over the news. Media coverage and live reports can be seen (or heard, or read) on most any media outlet. Relief efforts are often launched. Good-hearted individuals and worthy relief organizations send donations. Wonderful efforts, one and all. What a loving, giving way to be kind! But then another disaster happens. Another, and another. After a while, something called disaster fatigue can set in. Specifically thinking about Japan and a disaster almost three years ago, in March 2011, a tsunami devastated large portions of coastal land and the communities on and near the coast. Many of those left homeless were elderly. For many months, huge numbers of these displaced people went to temporary housing. With little to do in the following months except consider all that was lost in the tsunami, large numbers of these elderly people became sad, even depressed. Enter Teddy Sawka, a Christian missionary to Japan for several decades. She saw first-hand the ravages of depression in the displaced seniors living in her small community of Shichigahama, a sea-side village. Knitting is quite popular in Japan. Teddy thought that by keeping their hands and minds occupied, perhaps these seniors would find some purpose in their lives. She began Yarn Alive among the displaced seniors, who took to knitting and crocheting with great eagerness. Missionary Teddy’s cousin is Jill France, member of Cuyahoga Falls United Presbyterian Church. Jill and Teddy keep in touch regularly. Teddy communicated to Jill that the seniors in the budding knitting group in Japan needed more yarn. Jill brought this need to the knitting group (prayer shawl-making group) at her church. 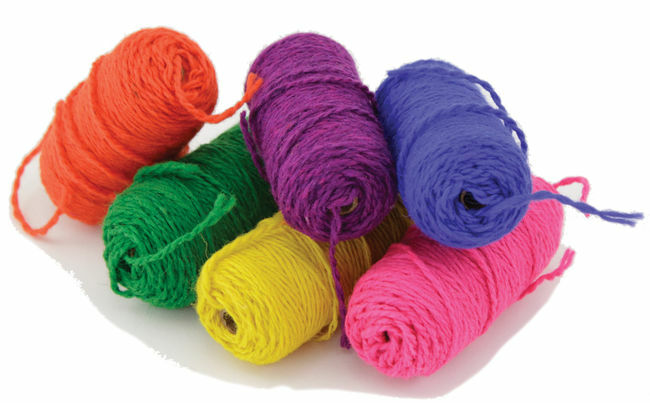 In a number of weeks, the group had prepared six boxes holding knitting needles, crochet hooks and 40 pounds of yarn to send off to the seniors in Japan. This was the first of a number of ‘care packages’ sent. Word spread in Japan. Other knitting groups—Yarn Alive groups—began to meet in other villages and towns in Japan. Meanwhile, word also spread among the media. Missionary Teddy was interviewed by a Wall Street Journal reporter in Japan, almost two years ago. Teddy gave the reporter her cousin Jill’s name and contact information. Soon Jill was interviewed, and several women in the Ohio church knitting group, also. After the article appeared in the Wall Street Journal in the first week of March 2012, calls and emails started pouring into the Presbyterian church office. And even more yarn, needles and hooks sent off to Japan. Jill, how right you are, my friend. Such a wonderful ministry. Such a marvelous way of being kind! May God continue to send all of us ways of being kind, on a regular basis. 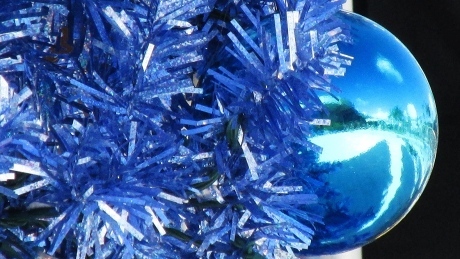 Blue Christmas? Hope this Helps. Chaplain Sarah and I led the service. Even though we were few, gathered in the St. Luke’s Church sanctuary, I hope God’s presence made itself felt in a special way this evening. When I was in my first unit of chaplain internship, Father Romy served as the chaplain supervisor. (A superb supervisor, by the way!) He didn’t always say this, but a common response from him was, “I hope that was helpful.” And—that would usually be the capper on top of some penetrating insight that he offered to the group of interns. At the service tonight, we read a Psalm that is not typically read. Psalm 77, a psalm that can be viewed as disgruntled, almost despairing, in selected verses. We read Eugene Peterson’s modern translation from The Message, which gave the psalm a particularly poignant angle. The sharing time in the service became one of the high points, as well. And the candle-lighting at the end? All in all, a time to be sad together, to grieve together, to be quiet—together. Just so, I hope and pray that the service tonight (Sarah’s offering and my offering) was helpful, encouraging, and a comfort to those who were there. God, in Your mercy, be with all those who grieve, who cry, who are lonely or depressed tonight. I wasn’t thinking about that at all when I wrote that post. 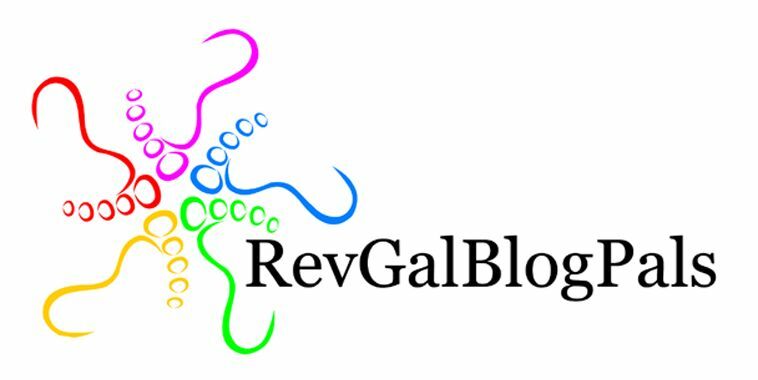 I was truly moved by another post (Joani’s recent blog post at Unorthodox & Unhinged, at wordpress dot com), and I sat down and wrote from my heart. I figured I had kept the information about my postpartum depression inside long enough. I feel stable and whole, now. I’ve decided to share more of this intensely personal, private story, now. 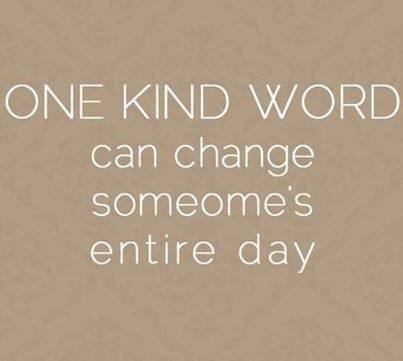 Ever look for opportunities to be kind? Opportunities for acts of service? Yeah, me, too. Seriously! I have been actively looking for opportunities like this, each and every day since the beginning of January. We’ve begun the seventh month, and have now passed the halfway point of the year. In the past few days, I have been taking stock. Looking back over the past six months. Overall, I am pleased. Pleased, and a little surprised. I mean, I did not fully expect what was going to happen as the months unfolded. I’ve helped and been kind to quite a number of people. It was a lot of service, true! But also, some persons, places and things I did not expect. I met people I didn’t previously know, and wrote about some new places and things—places and things that were new to me, anyway! Waiting for the next service opportunity can be exciting. What’s around the next corner? Is there someone in need? Or, someone who is sad, or upset, or just plain wants a smile or a hug? I’m up for it. Whatever “it” is, I would like to say that I’m ready! Instead of being down in the mouth, depressed and sad, I do try to show a positive, pleasant attitude. I can see how several of those in my acquaintance are negative. Gloomy, and pessimistic. Even though I am really friends with a few of them, I don’t particularly want to hang around when they are like that. Sad, isn’t it? I suspect that is exactly what my friends want, and need. Hmm. All right, Lord. I hear what You are telling me. Next time one of my acquaintances is gloomy and sad, You would like me to stay with them. Be present with them, and journey alongside of them. That is, You would like for me to at least offer to journey with them, in that land of disappointment, anger, loneliness, and fear? I understand. Yes. I’ll try. With Your help, I suspect I’ll succeed. At least, some of the time. Be Prepared! Oh, and Be Kind, Too! Today was a day to get things done. Two meetings accomplished, some computer work done, a bible study prepared, and some telephone calls made. Oh, and since it was Tuesday, I read to the preschoolers, too! I noticed, too, that today was also a day of preparation. Preparing the bulletin for next Sunday’s service. Preparing the bible study for tomorrow, when I’ll have the opportunity to lead and facilitate the midweek bible study group. Both of my meetings were in preparation for various phases of ministry around the church. And two of my telephone calls were setting up other things around the church—other ways of preparing to be helpful in ministry. I am getting into the swing of things around here. It seems that I am becoming more comfortable with the general day-to-day activities. However, I do not want to get too comfortable. If I do, then God tends to step in and gently (or sometimes not-so-gently!) shake things up. Occasionally, I’ve noticed that God will tend to shake me up. That’s okay, because the last thing in the world that I want to do is to get complacent! But still, it is disconcerting to get shaken up, even by God. I have been praying regularly that God send me opportunities to be of service. I am aware that my sometimes-prayer to God is being answered, day by day. 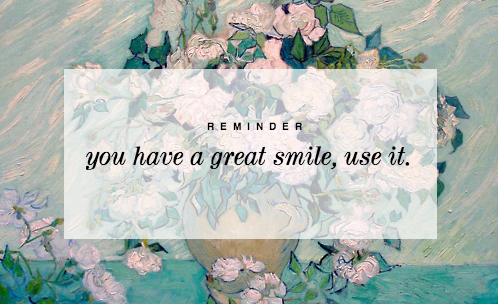 Sometimes in common, everyday kinds of ways (like when I smile at someone, and they thank me sincerely for my friendly smile! ), and on occasion, in significant ways (like when I report on Feature Fridays, about the innovative and particular kinds of ministries to the hungry, the poor, the abused, the depressed ones in our world). God keeps sending these opportunities to me. I keep fielding them, and keep on trying to be faithful. That’s it. I honestly try to be faithful to what God has for me to do. I know there are organizations in this world that try to do something, or try to be kind, or try to be of service. That’s wonderful! I encourage each one to find something that is meaningful to them, and do it with all their might! Or, perhaps some might want to find some outreach that is fulfilling and kind, and get fully behind it! 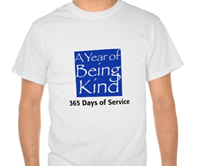 This search for acts of service, this Year of Being Kind is giving me far greater dividends than I ever expected. 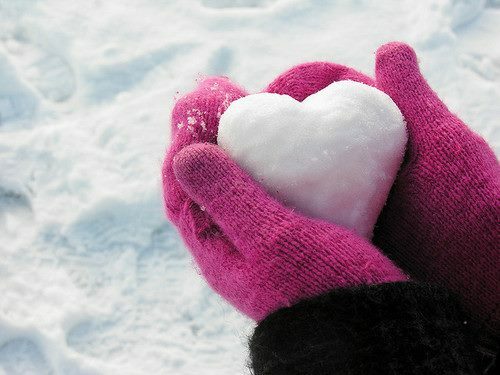 Even down to the personal gratitude, caring and appreciation that comes from getting out of myself and giving to others. So, on top of everything else, was this a day of introspection? Yes. 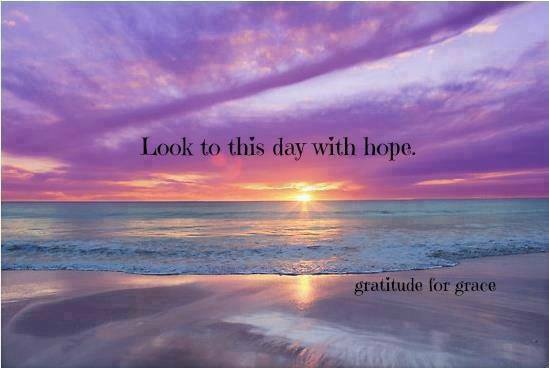 And, I pray it was a day of service to others. (And to myself.) God, I wonder what you’ll send my way tomorrow?